They considered horticulture and processed agriculture such as meat, rice and dairy products. “Our research has shown that Inland Rail would bring an improvement in rail travel time and transport cost, particularly important when considering perishable products. This would make it a lot more competitive with the travel time advantages of road transport,” CSIRO TraNSIT leader Dr Andrew Higgins said. “A big cost in food production is transport, particularly given the large distribution of where and when it is grown across Australia, and the long distances to major domestic markets, often over 1000 kilometres,” Dr Higgins said. “These type of savings with Inland Rail would mean food companies would have lower cost access to markets further away than they supplied to in the past. 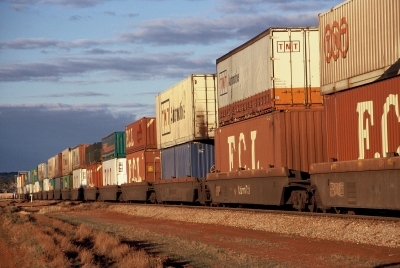 The Australian Government has committed $9.3 billion to complete the 1,700 kilometre spine of Australia’s freight rail network that will connect Melbourne to Brisbane in under 24 hours.